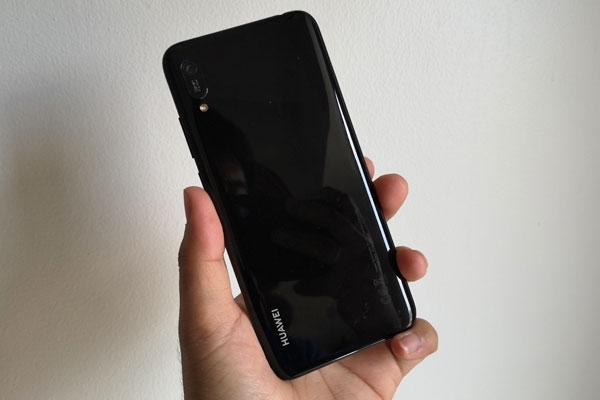 Home › Reviews › Huawei Y6 Pro 2019 Review: When “budget smartphone” doesn’t mean slow anymore! Hands on with the Huawei Y6 Pro 2019 smartphone! The Huawei Y6 Pro 2019 is a big upgrade over last year’s Huawei Y6 2018. 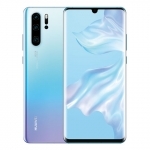 It has a bigger display with a “dewdrop notch”, better cameras and faster processor. It also comes with more RAM than its predecessor and twice the built-in storage. Let’s see if all these made the Huawei Y6 Pro 2019 an irresistible smartphone for its price. 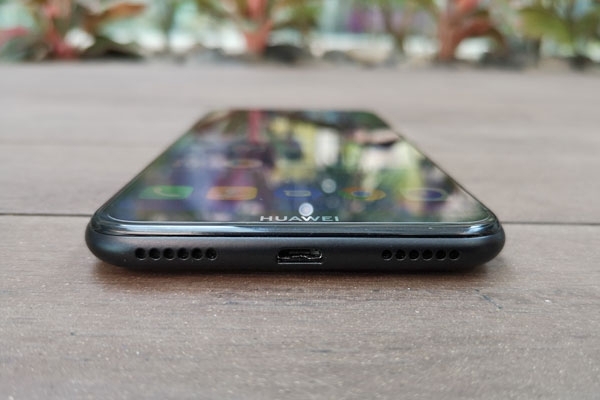 The microUSB port and speaker grille of the Huawei Y6 Pro 2019. 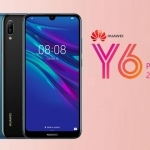 The Huawei Y6 Pro 2019 follows the current trend in smartphone designs. It has a glossy body and a display that almost occupies the entire front panel of the device. Since it’s a budget smartphone, the back is just a glossy plastic material and not glass. It still looks pretty and modern. Although, it also easily collects smudges. The shiny back of the Huawei Y6 Pro 2019. The phone’s buttons and ports are arranged normally. The power and volume buttons on the right side; SIM card and microSD card tray on the left side; micro-USB port and speaker on the bottom; and the 3.5mm audio jack on the top. It feels sleek and compact to hold because the sides are curved and the bigger display only made it taller, not wider. Overall, it’s a “prettier phone on a budget”. This is how the screen of the Huawei Y6 Pro 2019 looks like during a bright, sunny day. The Huawei Y6 Pro 2019 has a 6.09-inch display with a “dewdrop” style notch. 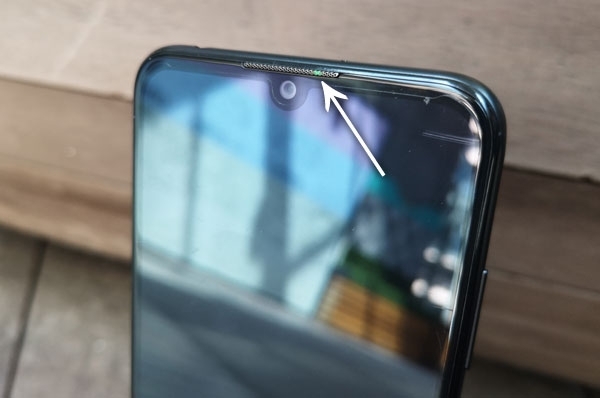 The small notch is just enough for the front camera and doesn’t take away that much from the total screen space. 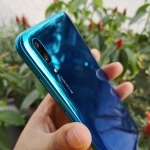 Still, it has a front LED flash hidden just a bit to the right of the front camera and LED notification light underneath its slim earpiece grille. Other brands don’t even include these features in their more expensive smartphones. It’s a FullView display although it’s not really “full screen” since there’s a substantial bezel on the sides as well as on the bottom where the HUAWEI logo is located. The screen itself has a resolution of 720 x 1560 pixels and a tall 19.5:9 aspect ratio. It’s very responsive to touches and supports up to 10 multi-touch inputs. Colors are a bit muted but digging into the settings will allow you to change the color temperature. Its brightness goes up quite nicely for outdoor use and goes dim enough for night time use. 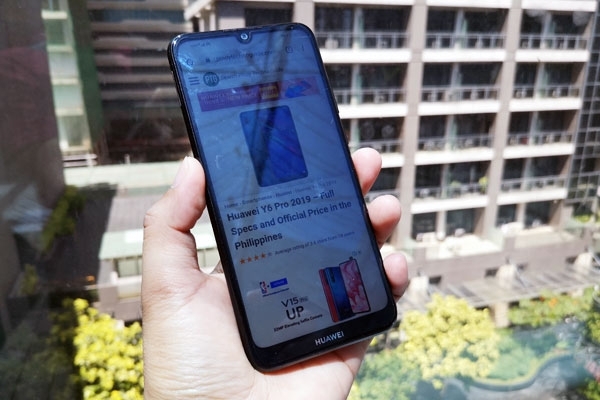 Overall, the Huawei Y6 Pro 2019 has a good display for its price point. It’s bright, responsive and compact enough for comfortable one hand use. 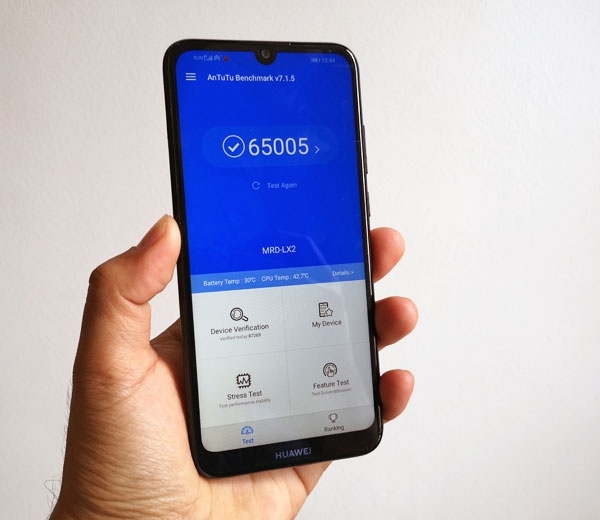 The Huawei Y6 Pro 2019 scores 65,005 points on Antutu! 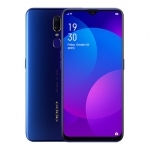 A MediaTek MT6761 chipset powers the Huawei Y6 Pro 2019. 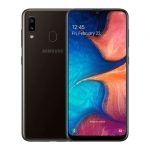 It has a 2.0GHz quad-core CPU, PowerVR GE8300 GPU, 3GB of RAM and Android Pie-based EMUI 9. Opening apps and navigating around the user interface is actually smooth! There are a few stutters when opening heavy games or when receiving a lot of notifications but nothing too serious. Of course, apps take more time to open compared to mid-range or flagship phones. Its gaming performance is also surprisingly decent for an entry-level smartphone. 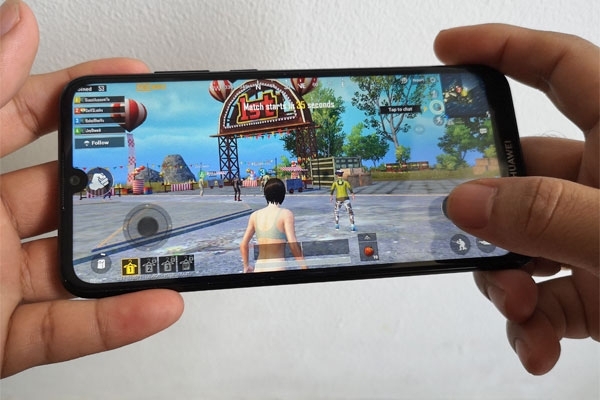 It can run popular games such as Mobile Legends in low graphics quality smoothly and with a few frame-drops at medium graphics. Meanwhile, the device only supports up to “Balanced” graphics quality on PUBG Mobile but it still shows occasional janks. Setting the graphics quality to “Smooth” makes the performance, well, smoother. There’s no problem if you’ll play casual games with it for several hours since heating is just minimal. Camera UI of the Huawei Y6 Pro 2019. 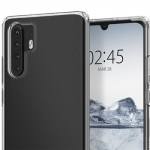 The Huawei Y6 Pro 2019 is equipped with a 13 Megapixel camera at the back. It has an f/1.8 aperture which means it can allow more light to pass through its lens resulting in brighter pictures. This is evident in the sample pictures I’ve taken using the Huawei Y6 Pro 2019 in well-lit conditions. They look bright and sharp with plenty of details. However, it can use a small increase in color saturation and dynamic range. However, low light pictures tend to be less sharp with plenty of noise. It can still take good pictures of lighted displays or landscapes but pictures of night time skylines or even streetlights can be disappointing. 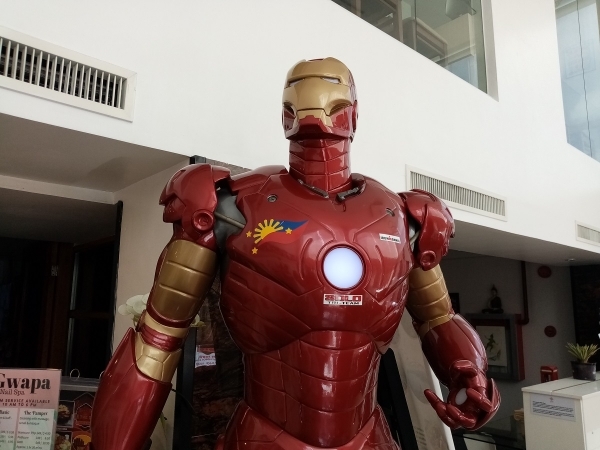 Huawei Y6 Pro 2019 first sample picture. 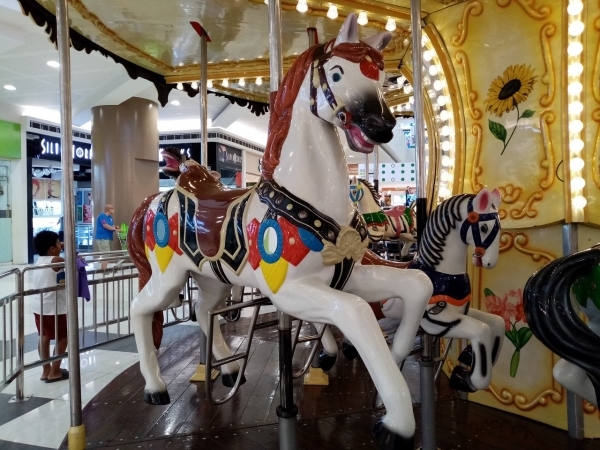 Huawei Y6 Pro 2019 sample picture 2. 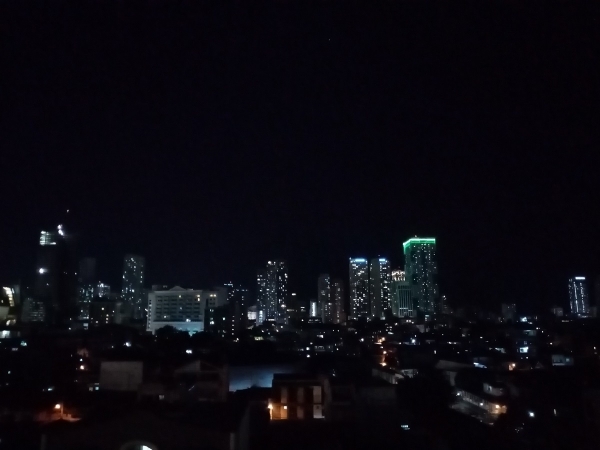 Huawei Y6 Pro 2019 sample picture at night. 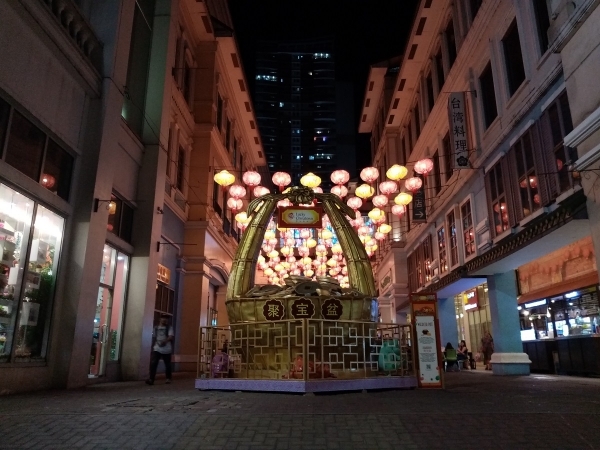 Huawei Y6 Pro 2019 sample night picture 02. Meanwhile, the Huawei Y6 Pro 2019 has an 8 Megapixel selfie camera with its own LED flash. It can produce decent selfies in good lighting scenarios but easily blows out highlights and low-light pictures appear grainy. Thankfully, the front LED flash is present to help with selfies at night. Noise or grain will still be present though despite enabling the flash. 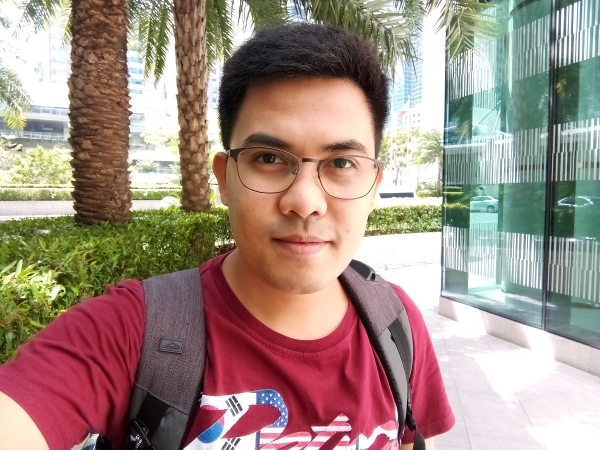 Huawei Y6 Pro 2019 sample selfie. 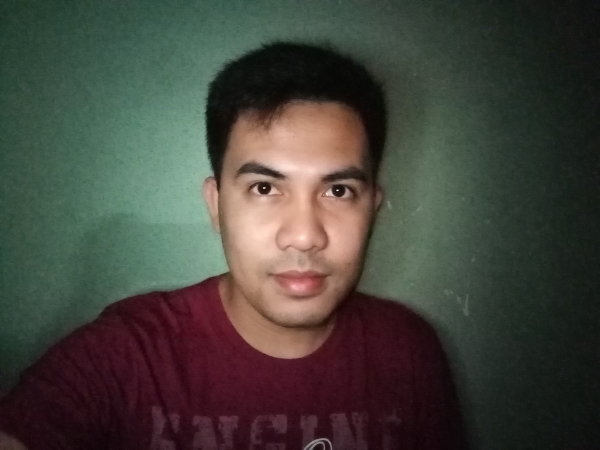 Huawei Y6 Pro 2019 sample selfie in the dark. More sample pictures can be found in my separate article focusing on the cameras of the Huawei Y6 Pro 2019. 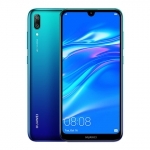 The Huawei Y6 Pro 2019 has dedicated slots for its two SIM cards and a microSD card. Hence, there’s no need to choose whether you’ll have a second SIM or more storage because you can have both. It can connect to 4G LTE networks and mobile data speeds are decent as long as 4G signals are present. Wi-Fi, Bluetooth and GPS all work well too. I also liked the phone’s FM Radio that doesn’t need earphones to be plugged in. At the same time, its loudspeaker is one of the loudest ones I’ve heard from a budget smartphone! LED notification light hidden under the earpiece grille. There’s no fingerprint sensor on the Huawei Y6 Pro 2019 and that’s one of its biggest disadvantages. You’ll have to rely on a 6-digit PIN. 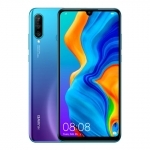 You can also use the phone’s facial recognition to make unlocking easier but it’s not as secure as a fingerprint sensor since it only uses the front camera to recognize the user’s face. It’s not that fast too. 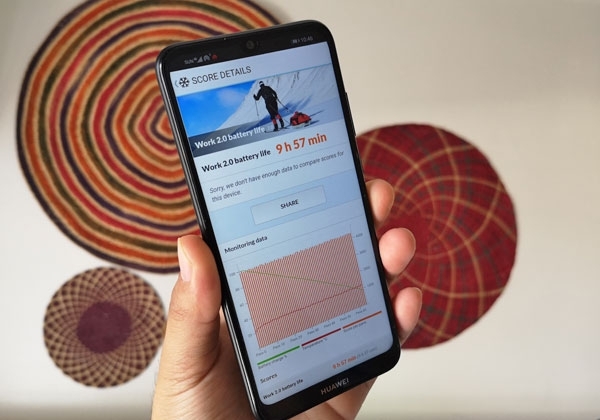 Battery life test score of the Huawei Y6 Pro 2019. 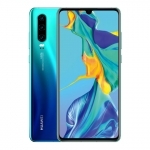 Critics of the Huawei Y6 Pro 2019 have pointed out its 3020mAh battery as one of its weaknesses since it’s a bit lower than its competitors. I tested the phone’s battery performance using the PCMark Battery Life benchmark and it yielded a decent score of 9 hours and 57 minutes. Huawei has done a good job of optimizing EMUI 9’s battery consumption that I’m not worried about the phone’s battery life. 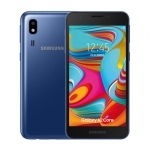 It can easily survive a whole day of usage with Wi-Fi or occasional 4G LTE data usage, social media browsing, video watching and some gaming. I even used it as a Wi-Fi hotspot and it survived more than 12 hours! What concerns me though is its battery charging time. The charger that comes free with the device only has a 5V/1A power output and charging it from 0% to 100% battery capacity takes 2 hours and 45 minutes. However, the Huawei Y6 Pro 2019 actually supports 5V/2A charging. Using a fast charger decreases the charging time to 1 hour and 35 minutes only! The Huawei Y6 Pro 2019 is another “pretty phone on a budget”. 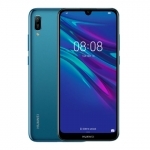 Huawei started 2019 the right way with the Huawei Y6 Pro 2019 that offers upgraded specs and features over its predecessor. 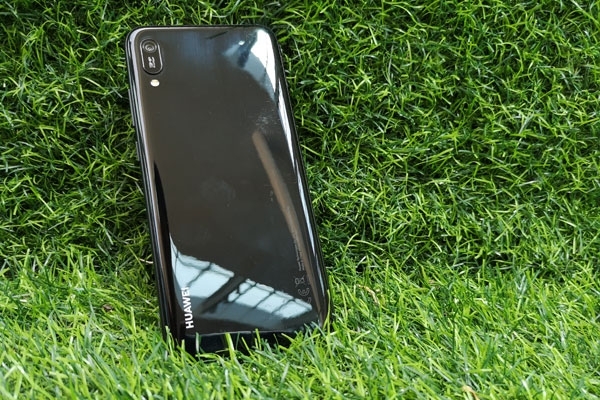 The Huawei Y6 Pro 2019 has a modern-looking design and display, good performance for an entry level device, decent cameras and an average battery life. If you’re using the Huawei Y6 2018 right now, this one is worth the upgrade. 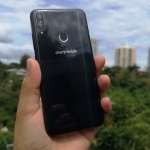 Meanwhile, those who are comparing this phone with its competitors should look for a model with a better processor, camera and battery for a similar price tag of ₱6,990.00. 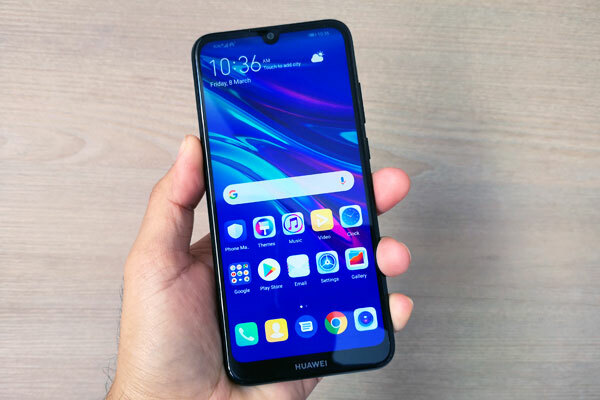 The Huawei Y6 Pro 2019 has a modern-looking design and display, good performance for an entry level device, decent cameras and an acceptable battery life.